These are the funnest, cutest, catchiest and just darn best vintage style hotel key tags around! Perfect stocking stuffer for your bff, sister, coworker, etc! We are just swooning over our newest addition to our personalized goodies! 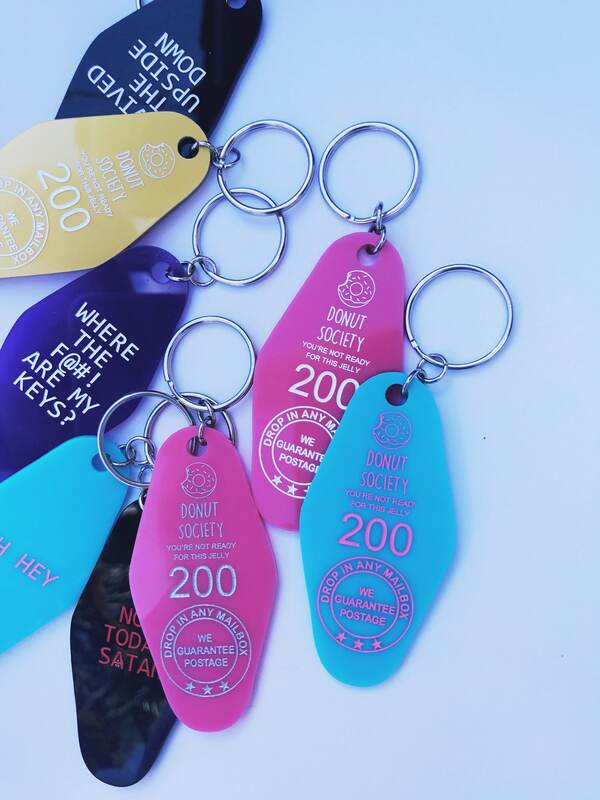 Say hello to our one of a kind laser cut, etched and hand ink filled vintage hotel key acrylic key chains that feature one of our numerous fun and clever designs. These adorable additions make perfect gift for just about anyone on your list! 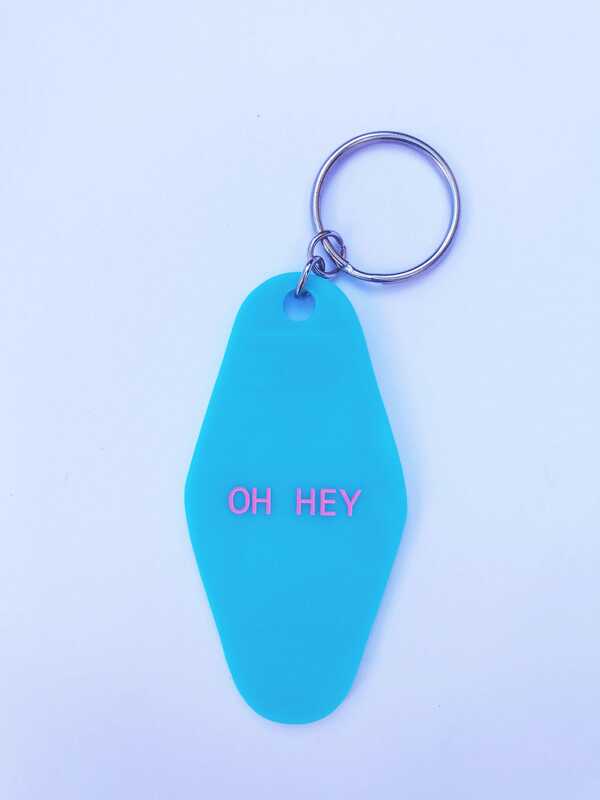 Choose from our vast variety of acrylic colors for your throwback and fabulously fun keychain and choose the ink fill color you'd like, then we can laser etch and hand ink fill your gift! Shown in Aqua Acrylic with pink ink fill with Silver key ring.